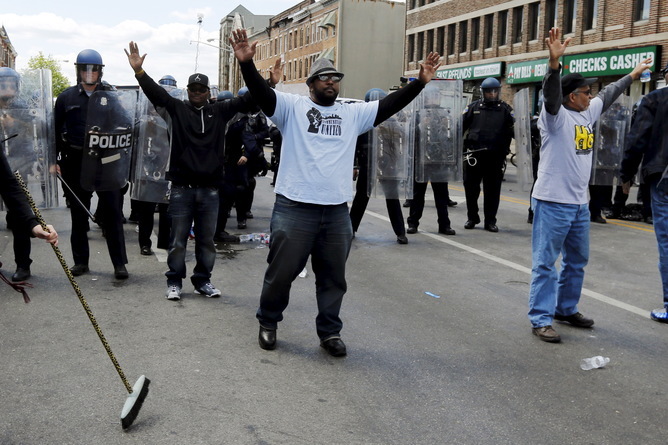 Editor’s note: Protests erupted Monday into violence in Baltimore following the funeral of Freddie Gray, a black man who died after being taken into police custody. We asked scholars to comment on the implications of the riots, which occurred 47 years after Baltimore exploded after the assassination of Dr Martin Luther King Jr.
Just a cursory glance at some of the popular commentary in media about the riots in Baltimore shows a great divide in the public on opinions regarding the reasons for and outcomes of the recent riots. Some point fingers and blame protestors for being violent criminals who are destroying their own neighborhoods while others point the blame at overzealous racist cops who use force to get what they want. Some have called for an increase in riotous action to defeat the police while others call for more national guardsmen and police officers to quell protestors. In essence, this all leads to macro-scale violence escalation and a widening of the us vs. them mindset. We need to transform this into an “us with them” mindset in order to de-escalate violence. There are already examples of this. In Ferguson, police took off riot gear and joined peaceful protestors. In New York, police are already expected to get more training in de-escalation techniques as recent incidents have illuminated the need for more training. Our research shows that empathy by police increases trust and perceptions of effectiveness. Moreover, programs like Project TIPS (Trust, Information, Programs, and Services) in Rochester, NY highlight how communities can voice their concerns and work with police to improve communities while a related project brings police and teens together so that the community can understand viewpoints of law enforcement. 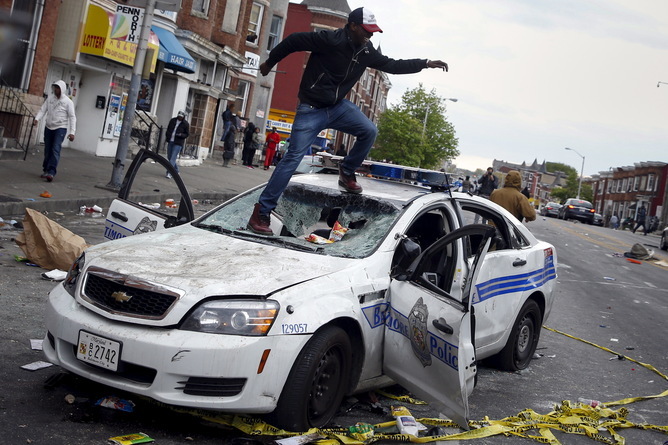 The spark that flamed the Baltimore riots is the same one kindling many potential riots across the United States. We need to do away with pointless finger-pointing and come together to profitably understand one another and improve community safety. Dr Kate Drabinski is a Lecturer of Gender and Women’s Studies, and she is also the Director of the Women Involved in Learning and Leadership (WILL) program, a co-curricular program and Living-Learning community sponsored by GWST. She received her Ph.D. in Rhetoric with a graduate certificate in Gender, Women, and Sexuality Studies from the University of California, Berkeley in 2006. She has taught a wide range of introductory courses in gender and sexuality studies at several universities. During her four-year tenure at Tulane University, Kate presided over a curriculum revision process that resulted in tremendous enrollment growth in the Gender and Sexuality Studies department. Michael Sierra-Arevalo is received his B.A. in sociology and psychology (high honors) from the University of Texas at Austin. He is an affiliate fellow at the Institute for Social and Policy Studies (ISPS), and a graduate student affiliate of the Center for Research on Inequalities and the Life Course (CIQLE).